This year's Finca Santa Catalina's work is very good! and there are many traditional farms. 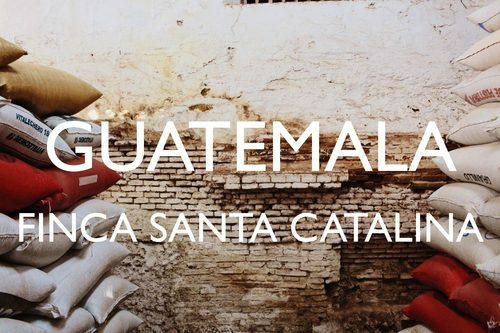 Among them, the Finca Santa Catalina is located at a high altitude and in a good soil. It has a gentle, mild acid derived from fruits, and a rich body, which has a very smooth mouth feel. the sweetness of cacao and milk chocolate. and you can really feel the original tastiness of coffee. While dealing with coffee in various production areas, I always be aware of the "stable taste" of the Finca Santa Catalina. It will be a basic flavor representing high-quality coffee in Central America, and you should be able to properly understand the flavor of the Bourbon variety.